For several years now, deriving value from “big data” has been a concern for executives focused on the distribution side of electric utilities. It was only a matter of time before generating units and fleets also had the capability to collect, analyze, and act upon huge volumes of near-real-time data. That time has come. Another megatrend has hit the power generation industry: the Internet of Things (IoT)—countless devices with embedded electronics, sensors, and connectivity to digitally communicate with one another and their human owners. The IoT generates more data than most asset owners can warehouse on their own—hence the moniker “big data”—and requires sophisticated analytics (see the sidebar “What’s Analytics?”) in order to derive benefits from that data. It also often involves “the cloud”—broadly speaking, Internet-connected nonlocal data centers and computing services provided by third parties. “You can’t assume that your executives know what analytics are,” said one speaker (whose name I didn’t capture) at the September 2015 Minds + Machines event, hosted by General Electric. IBM, another analytics player, notes that “big data” is characterized by high volume, high velocity, high variety, or all of the above, “much of it generated in real time and in a very large scale.” The types of analysis brought to bear on big data can include everything from text analytics to machine learning. When applied to the power industry, the preferred buzzword is becoming the Industrial Internet of Things (IIoT), in recognition that industrial data feeds can account for more data, at higher volumes, and with more critical implications than data from the consumer IoT, which consists of everything from merchant payment processing to fitness wristband data. When a new trend or technology hits an industry, you can be sure that just about everyone jumps on the bandwagon. Over the past few months, pitches and press releases about the IoT have proliferated in POWER’ s inbox. Some of the flurry, I suspect, is in response to General Electric’s (GE’s) late September 2015 introduction of its Digital Power Plant and its broader Industrial Internet platform, Predix. More on those later. POWER isn’t in a position to provide due diligence evaluations of vendors’ claims, but we can give you a sense of the evolving landscape. For several years, I’ve been wondering when entities at the generation end of the electricity industry would be swept into the “big data analytics” movement, because those capabilities have created buzz in the customer service and grid management sectors for some time. Companies including IBM, Cisco, Intel, Microsoft, Google, SAP, Oracle, Verizon, and many others have been promoting their capabilities around managing data from the IoT, including the power grid. In late October 2015, a Greentech Media article claimed that there are “more than 1 billion data points being logged every day in the U.S. alone through smart electric meters.” Yet, those meters are sending interval (rather than continuous) data feeds, and action based on the information derived from that data usually need not be taken immediately. On the generation end of the wire, there are fewer devices, yet they are potentially capable of generating far more data, continuously, that could enable near-real-time decision-making with significant consequence. Even when compared with the big data being amassed by utilities on the distribution side, the potential data volume from complex industrial systems like power plants, which often generate information every minute of the year, is some orders of magnitude larger. At an industry summit in May 2015, Harel Kodesh, CTO of GE Software, emphasized the difference between the Internet we’re all familiar with and the Industrial Internet his company sees developing: “When you realize the intensity and volume of data—petabytes and petabytes—it dwarfs the consumer Internet.” At GE’s September 2015 Minds + Machines (M+M) event in San Francisco, multiple speakers claimed that less than 2% of industrial plant data is actually used. Both the potential volume of machine-generated data and the need for more-secure management of it are leading to development of the IIoT—what you might think of as a special sector of the Internet. Another definition of the IIoT is Internet protocol (IP)–based devices that connect with each other. Essentially, the IIoT consists of machine data rather than human-generated data, as on the generic Internet, where most content—from blogs to corporate marketing to cat videos—is accessible to anyone. For power plants, one potential advantage of the IIoT is the integration of information technology (IT) and operational technology (OT) systems so that all functions within a company can see and understand constraints and opportunities. Machine-to-machine communication, SCADA, distributed control systems, and data historians are all parts of the IIoT, but whereas those pieces often operate with limited connectivity to one another, the IIoT provides a platform where they can be integrated for deep and speedy data analysis that—ideally—provides richer insight for decision-making than is currently possible. ■ Data communications infrastructure (including technologies such as “LTE, [see the “Obsolescence Is a Fact of Life” sidebar] ZigBee, Wi-Fi, IEEE 802.15-4, and cloud-based computing infrastructure”). ■ Analytics and applications to interpret and act on the data—predictive analytics in particular, sometimes offered as a service. ■ People—making decisions based on more data plus better and faster analytics. Data communications infrastructure is an integral part of the Industrial Internet, and one where the options continue to evolve. For example, many 2G wireless communications networks will be decommissioned soon as spectrum gets reallocated to provide more advanced 4G LTE (long-term evolution) services. AT&T has confirmed that it will decommission its 2G network at the end of 2016. As a result, current users must look to alternative cellular technologies to ensure that their 2G infrastructure remains operational when these networks are shut off. According to Sierra Wireless, 4G LTE is the intuitive migration path for industrial applications like utilities and other generators using 2G. The capacity inherent in LTE allows for added functionality, such as video surveillance, in addition to existing applications like SCADA, distribution management, and metering. Sierra Wireless says its AirLink Raven RV50 LTE industrial gateway is one example, offering 4G performance at 2G power consumption. Neil Hurst, engineering manager, products of EDM International Inc., said his company has deployed the Raven X at many customer sites, “including 70% of U.S. investor owned utilities and a number of cooperative and private power utilities,” and the transition to the RV50 was seamless. As you can infer from this list, a large number of equipment and service providers can claim to be part of the IIoT ecosystem (see the sidebar “The Industrial Internet Is Already with Us”). Some will supply smaller or larger subsets of elements needed to build out a true IIoT. Some are already familiar to the power industry as providers of sensor and remote monitoring and control capabilities (see the sidebar “Sensors: Connecting Physical and Digital Worlds”). Others offer new layers and capabilities for existing wired or wireless monitoring systems (see the sidebar “The Industrial Internet Consortium”). The concept and reality of the Industrial Internet of Things (IIoT) didn’t emerge overnight. Technology innovation has been moving toward a connected, integrated ecosystem for some time, and a number of companies, including ABB, have been working on essential parts of that vision. Realizing the vision of the Industrial Internet requires technology improvements to many components of the power system. Emerson Process Management is one of the major companies supplying the sensors, monitoring, and controls that are essential to this vision. 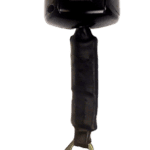 One of its latest contributions is IntelliSAW technology, a tiny passive wireless thermal monitoring device combined with analytics. It provides advanced warning to operators when they are experiencing electrical reliability issues like overheating switchgear, busses, or other electrical systems. According to Doug Morris, the company’s director of business development, one challenge in implementing continuous monitoring of such critical connection points inside switchgear is that the system must maintain the impulse-withstand voltage, also known as basic impulse level (BIL). This requirement eliminates the most common types of direct contact temperature monitoring systems, leaving only non-intrusive systems to consider for switchgear thermal monitoring. As a wireless, passive surface acoustic wave (SAW) sensor, the IntelliSAW can directly mount onto critical measuring points in harsh environments while ensuring safe BIL requirements are met. It does not require line of sight to the monitoring location, offering installation flexibility, and, because the sensors are manufactured from quartz crystal, it offers a monitoring solution for the lifespan of the switchgear, without ongoing maintenance. The system ties into a plant monitoring system, where differential and maximum temperatures can be monitored and trended over time. In addition to developing Predix, a custom platform for the Industrial Internet of Things (IIoT), General Electric is a founding member of the Industrial Internet Consortium (iiconsortium.org), which covers a number of industry verticals, including power. The consortium includes more than 200 members, representing “large and small industry, entrepreneurs, academics and government organizations with an interest in helping to shape and grow the Industrial Internet.” The list includes companies that are GE competitors in the original equipment space, such as Siemens, Toshiba, Hitachi, and Mitsubishi. The site has a Resource Hub that includes articles, case studies, and technical papers that offer deeper dives into the topic than this article can provide. In short, the IIoT is already taking shape, even if all the partner pieces haven’t been married. As for the IIoT, at the M+M event, GE CEO Jeffrey Immelt (Figure 2) predicted that his company’s platform, what he called the “GE Store,” would open up a $225 billion market. The Industrial Internet, he added, could be twice as large as the consumer Internet. Even if GE only rolls out its solution to users of its own equipment, that’s more than 20% of the global power generation market, according to the company. Among GE’s acquisitions to support its IIoT vision is Wurldtech, a firm already well-known among control systems providers for device-testing and certification (on its Achilles platform) for programmable logic controllers (PLCs), human-machine interfaces, remote terminal units, and the like. While it continues to serve that market, it now also is focused on protecting asset owners. Wurldtech perimeter device boxes sit in the communication path between the OT and the IT departments, either at the plant or corporate data center. Wurldtech/GE Digital’s Scott Christensen said the company has “more than a dozen, less than 50” U.S. generators as current customers, and he confirmed that it’s typically the larger fleets that are the early adopters, though they are not just GE equipment owners. The company can do virtual zoning, without rewiring the whole plant, he said, to prevent unauthorized communication. Compared with what plants may already be using, what they look at is “much lower level,” at the “application layer, not the transport layer,” at command and function codes and signatures. One notable difference from more familiar protection systems, he said, is that Wurldtech protects against the vulnerability, not the exploit (which is ever-changing). Even already-connected devices may be leaving benefits on the table. Predictive monitoring is probably the most obvious and familiar benefit of IIoT technology. Many generating companies already make use of some collection of digital sensor and monitoring systems to reduce unplanned downtime and more effectively plan maintenance outages. But David Humphrey of GE Water & Power said at M+M that most plants still do reactive maintenance, and very few have moved to cloud-based or any sort of real predictive maintenance. 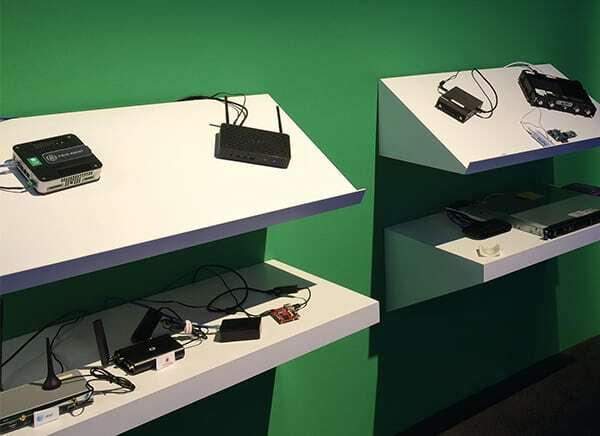 Even among those that have added Pi or Smart Signal, he said, “even the best” are still waiting for an event to happen. Additionally, today’s predictive maintenance tools are mostly single-point solutions, like vibration and anomaly detection for turbines or combustion or emissions monitoring. A true IIoT of the sort GE is developing would allow an asset owner to see how the whole system is working—at the unit or fleet level. GE itself has benefitted from the IIoT. 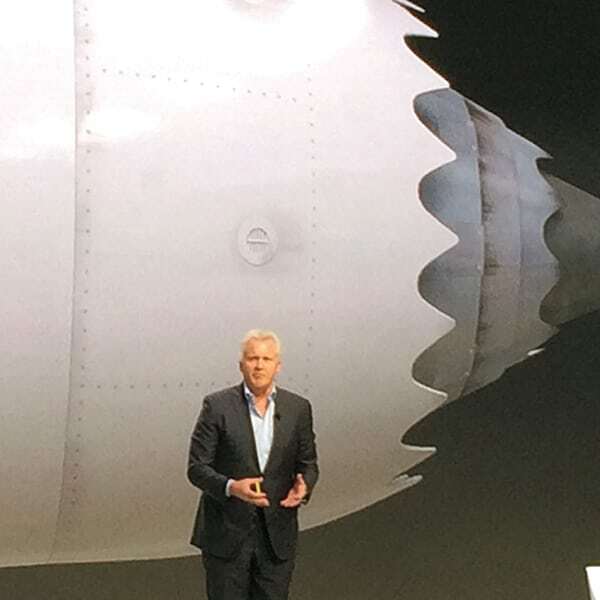 Immelt told the M+M audience that the company’s H turbine was designed in half the time and at a lower cost per megawatt because of the Industrial Internet capabilities deployed in its development. Taking the long view, one of the keys to maximizing the power of the IIoT is secure information sharing among asset owners and trusted partners, including equipment and service providers, in order to share performance data. That will necessarily involve integrating data from competitors, because many generators already rely upon equipment and services from multiple vendors (see the sidebar “Remote Monitoring and Maintenance”). Siemens is one example of an Industrial Internet Consortium member that has been developing capabilities that are integral to a future in which multiple vendors share an ecosystem in order to benefit power generators. All technologies for Siemens Digital Services are pooled under the new Sinalytics platform, explained Thilo Libuda, head of marketing for instrumentation, controls, and electrical within the Siemens Power & Gas Division: “It combines proven capabilities for remote maintenance and optimization with the latest developments in data analysis, connectivity, and cybersecurity.” It can also integrate engineering data or data generated by people, Libuda said. Sinalytics works both in the cloud and locally—for example, at a Siemens data center in Europe or the U.S.—or by intelligent networked devices in the field, where data are generated. Siemens monitors more than 9,000 turbines (wind and fossil-fueled) online. Every day, the gas turbines generate some 26 GB of data while wind turbines generate 200 GB. Remotely monitoring turbines can provide multiple benefits, including longer service intervals and predictive maintenance and maintenance planning, which can lead to increased profitability for customers. For wind turbines, Siemens says it can provide remote remedies for 85% of all alarm situations. At M+M, Brian Hoff, director of emerging technologies at Exelon Corp., admitted that it can be hard to choose where to start down the IIoT path. Exelon is starting its innovation efforts in generation and later will move out into its utilities, he said. The company currently has five pilots (including one at its Byron Nuclear Generating Station) and wants more because people are excited. 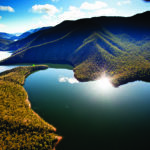 The primary goals are “recovery of lost megawatt-hours” and condition-based maintenance. As Joan Knight, innovation director at Exelon Generation, explained in another session, equipment data collection at the company’s nuclear plans was “not all put together and used” at the plant or fleet level. Exelon’s partnership with GE is taking a vertical and horizontal view fleetwide and across all equipment of the same sort across the fleet. 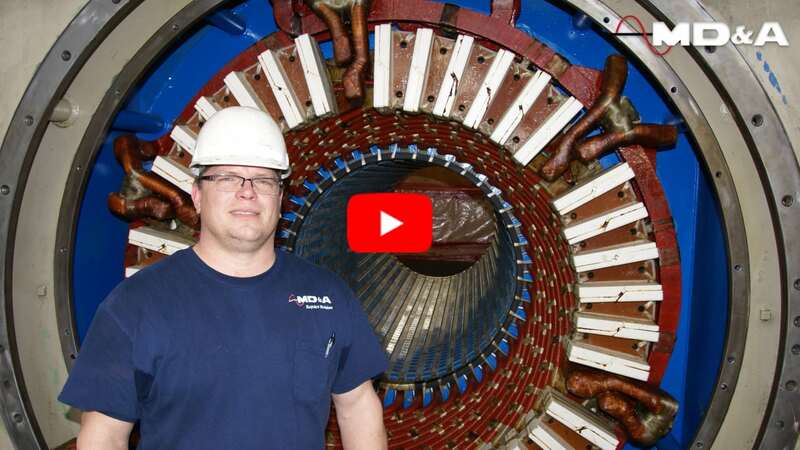 Preliminary results are impressive: a 10% decrease in lost megawatt-hours due to equipment reliability issues, which has a value of $5 million. Duke Energy Nuclear Generation, modeling a program successfully used by Duke’s fossil fleet, began a fleetwide project in late 2014 using the Schneider Electric Process Information Signal Monitoring (PRiSM) Advanced Pattern Recognition (APR) software to “model” critical, large rotating equipment, explained Howard Nudi, fleet engineering support manager at Duke. APR software can derive predictions for multiple variables simultaneously based on empirical relationships established during normal operation. The software monitors assets 24/7, sampling real-time data every 5 minutes. If the real-time data falls outside APR software predictions, a deviation is identified and a notification is generated for the engineering group to evaluate. APR software can also tell if there is a deviation from predicted behavior and the possible reason, based on subject matter expert input programmed into the software. Integrating PRiSM at the first site, Harris Nuclear Plant, was completed in May 2015, Nudi said, with approximately 60 component models actively deployed. Duke quickly realized positive results as the software identified two unanticipated motor cooler fouling issues in summer 2015 on cooling tower makeup pumps, enabling site engineering and maintenance personnel to take early action to efficiently make repairs. McGuire Nuclear Station is 98% complete with more than 200 APR models deployed for Units 1 and 2. The remaining eight units in the Duke nuclear fleet will be completed by the end of 2017. The primary focus is equipment reliability and performance. Though advanced equipment monitoring is familiar in concept, if not always in practice, the next level of digitization may involve a comprehensive digital avatar of a physical power plant or fleet. 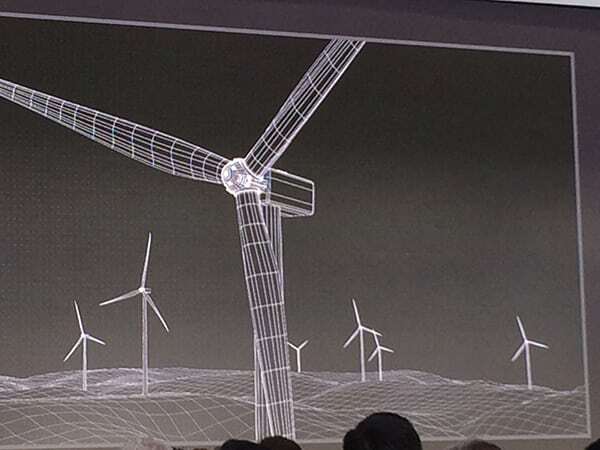 GE’s Digital Wind Farm concept, for example, builds on its previous PowerUp software and began, as Ganesh Bell, GE Power’s chief digital officer explained at M+M, with a software-defined modular turbine that was customized for every single pad mount (Figure 3). That enabled the generation of 10% more power. Another 10% was gained through optimizations enabled by the digital infrastructure. As Hunter Armistead, executive vice president, business development for Pattern Energy (a wind, solar, and transmission project developer) noted at M+M, there’s generally a 20% difference between a bad investment and a really good one in wind. Historically, larger blades have been the primary means of generating more power for your wind turbine dollar, but GE won the contract for the Meikle Wind Project in British Columbia because of how it optimized the project, Armistead said, not because GE offered the largest turbine. GE is also developing digital models (“twins”) of its gas turbines (as well as machines for other industries). Though it’s easier to create a digital twin when you’ve designed the equipment, GE’s Ayres said any existing plant can be upgraded to a digital power plant. Digital twins are valuable, but no generating unit operates in isolation. It’s only when you can integrate both historical and real-time data from multiple plant components with business systems, market signals, weather forecasting, and more that you’ve captured the ultimate prize: mining and analyzing big data to enable “what if” optimizations for faster and more profitable business and operating decisions. That’s the plan for GE’s Predix platform. I asked several GE representatives as well as M+M attendees for their take on how Predix, which was launched in beta at the event, is different from what preceded it in the industry. One of the biggest distinctions everyone agreed upon is that this new platform aggregates and integrates everything that already exists as well as several new capabilities in order to give users access to actionable information. The typical current state of data-derived awareness is tied to a single system or piece of equipment. Monitoring can tell you what is happening now with a turbine, for example. By bringing together any number of data sets and applications from multiple sources, Predix can enable, GE said, the ability to look forward at conditions that could affect that asset in the future, and can predict how different operating scenarios will affect the condition of that asset. One of GE’s products that sits on the Predix platform is APM (asset performance management). Another is Smart Signal, which GE is in the process of migrating into Predix. Predix, Ayres said, connects “the sensor to the boardroom” for real-time decisions and actions, from asset performance management to running scenarios. You could, for example, decide that market signals justify pushing a turbine just beyond its design limits, even if it means moving up the date for an overhaul, because the opportunity for selling power at a premium price is so great. In one of his M+M presentations, Bell explained that Predix can run in a box on site (Figure 4), in the cloud (see “Using the Cloud for Speed and Scale”), or as a platform that bridges the OT and IT divide. By now, cloud computing is a familiar tool for a wide variety of industries, but it’s been slower to take off in the power sector. As increasing numbers of sensors collect ever-more plant data to integrate with data in historians, business office systems, and external data feeds (weather, market prices, and so on), the ability to seamlessly integrate, access, and manipulate those data streams for faster operational and business decisions becomes more important. For many, cloud computing is the solution. Though there is some variation among cloud service providers, in general, you can think of the cloud as off-site data storage and computing power that is metered like power (you pay for what you use), is managed by a specialist who is responsible for up-time, is rapidly scaleable, and enables your enterprise to add and subtract services and applications as needed. GE envisions competitors writing apps for the Predix platform—what it calls its “co-innovation” concept. 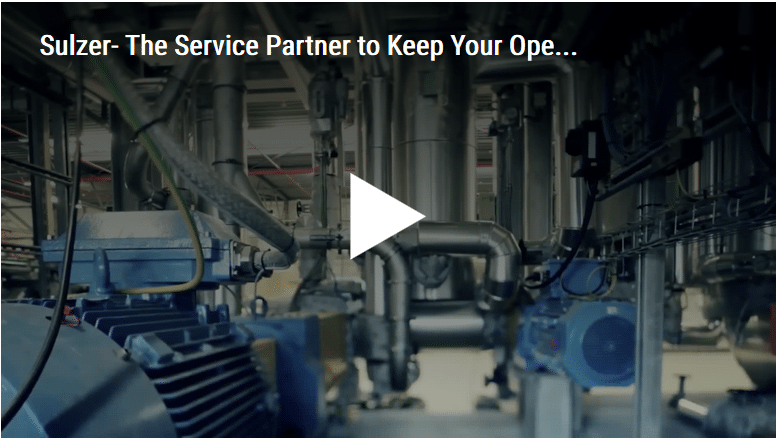 In essence, GE provides the integration platform while any number of other companies can develop capabilities and services that sit on that platform for asset operator convenience. Luminant is one generator that currently operates its own monitoring and diagnostics (M&D) center, using software from a number of vendors, including GE. Luminant’s Clinton Carter, director of operations services, told me after his M+M presentation that rather than seeing GE as a competitor, his company may consider Predix as the next platform for its M&D center as it could integrate multiple vendor services. In mid-December, GE announced it had signed 15 Predix customers in the previous 90 days. ■ Its customers will have realized $1 billion in productivity savings. ■ The industrial app economy, powered by Predix, will be worth $225 billion. ■ More than 100,000 developers will be building on Predix. ■ The Predix marketplace will have more than 500,000 apps. The previously mentioned McKinsey report suggests that the hype around the IIoT “may actually understate the full potential,” but it also notes that “capturing it will require an understanding of where real value can be created and a successful effort to address a set of systems issues, including interoperability.” Whether GE is creating a “killer platform” (rather than just a “killer app”) remains to be seen. GE claims there is nothing like Predix in the market, and that appears to be the case. 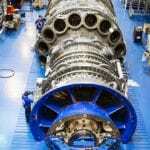 Though GE owns the platform and has acquired or partnered with several companies to develop its initial capabilities, it is based on open standards and is open to the industry, GE spokespersons repeatedly emphasized. That should offer some comfort to the various players and wannabe players in the IIoT that they will not become obsolete. Instead, they may be able to gain market and leverage current capabilities by jumping on the Predix platform and developing apps for it. There will certainly be concerns about how such partnerships are structured, but for now, GE appears to be the only company developing a purpose-built cloud platform for the needs of multiple industrial users. As GE speakers correctly noted several times at M+M, developing and using the IIoT is a “journey.” It’s not like selecting an OEM and a model for a replacement turbine. The landscape will change as we move forward. The necessary caveats aside, neither traditional industry suppliers nor startups will stop innovating. Eventually, most power generators will need to get familiar with the IIoT or risk being left behind.